(June 19, 1903 – June 2, 1941) was an American baseball first baseman who played 17 seasons in Major League Baseball (MLB) for the New York Yankees (1923–1939). Gehrig was renowned for his prowess as a hitter and for his durability, a trait which earned him his nickname “The Iron Horse“. He finished with a career batting average of .340, an on-base percentage of .447, and a slugging percentage of .632, and he tallied 493 home runs and 1,995 runs batted in (RBIs). A seven-time All-Starand six-time World Series champion, Gehrig won the Triple Crown in 1934 and was twice named the American League’s (AL) Most Valuable Player. Gehrig was the first MLB player to have his uniform number retired, and he was elected to the Baseball Hall of Fame in 1939. 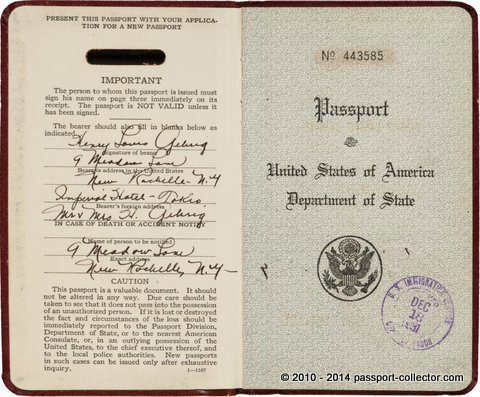 The passport Of Baseball Legend Lou Gehrig Sold For $263.000. 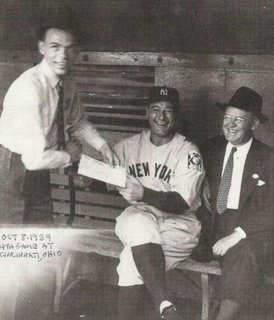 A native of New York City and attendee of Columbia University, Gehrig signed with the Yankees in 1923. He set several major league records during his career, including the most career grand slams (23) (since broken) and most consecutive games played (2,130), a record that stood for 56 years and was long considered unbreakable until surpassed by Cal Ripken, Jr. in 1995.Gehrig’s streak ended in 1939 after he was stricken with amyotrophic lateral sclerosis (ALS), a disorder now commonly referred to as Lou Gehrig’s Disease in North America,which forced him to retire at age 36 and claimed his life two years later. The pathos of his farewell from baseball was capped off by his iconic “Luckiest Man on the Face of the Earth” speech at the original Yankee Stadium. Gehrig was voted the greatest first baseman of all time by the Baseball Writers’ Association in 1969, and was the leading vote-getter on the Major League Baseball All-Century Team chosen by fans in 1999.A monument in Gehrig’s honor, originally dedicated by the Yankees in 1941, currently resides in Monument Park at Yankee Stadium. The Lou Gehrig Memorial Award, given annually to the MLB player best exhibiting the integrity and character of Gehrig, was named in the first baseman’s honor. 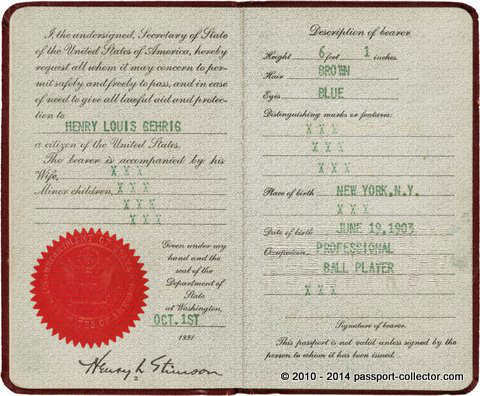 The passport Of Baseball Legend Lou Gehrig Sold For $263.000 and is now the most expensive travel document ever sold and is leading the list of celebrity passports followed by Marylin Monroe’s passport with a value of $115.000. We turn the page to find the Gehrig’s official data, listing his full name, date of passport issue, height, hair color, eye color, place and date of birth, and occupation of “Professional Ball Player.” The third and final autograph appears on the next page, a marvelous sepia-toned portrait photograph (3×3″) of the twenty-eight year old superstar again bearing the ideal “Henry Louis Gehrig” signature format. This signature, like the other two, are legitimately 10/10 in strength. 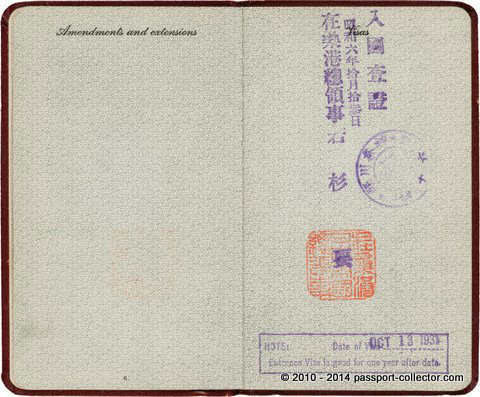 Just two border stamps appear within, marking Gehrig’s October 13, 1931 arrival in the Land of the Rising Sun, and his December 18 return to the United States. 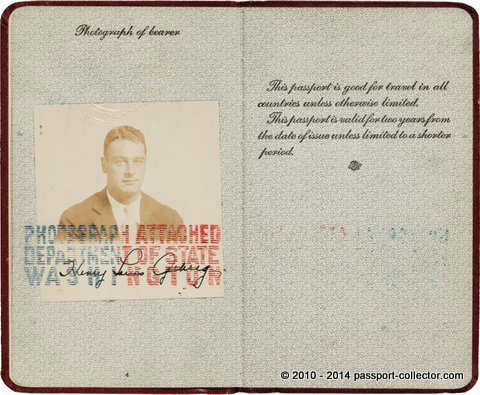 As noted in text on interior back cover, American passports at this time were effective for two years, requiring a newer model for his return to Japan in 1934. That passport, however, has never surfaced, leaving this as the sole survivor.